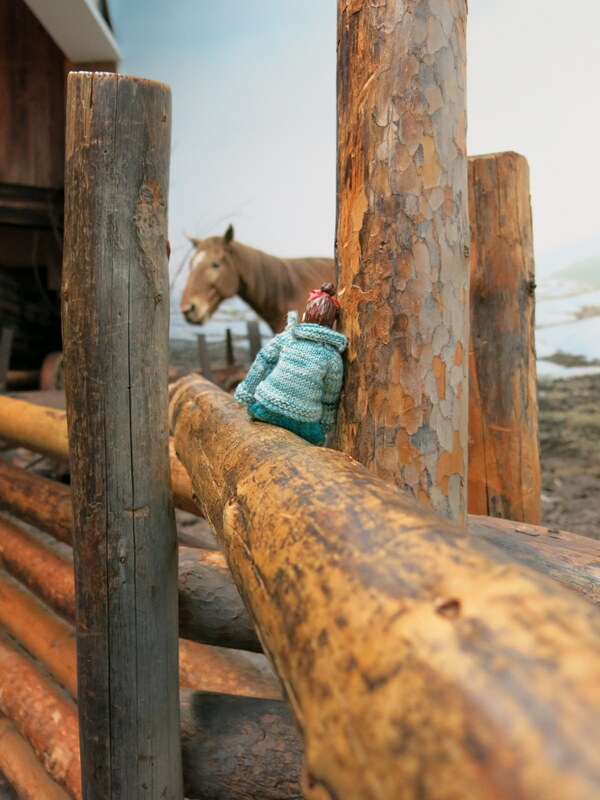 Min is a small wooden doll who frequently stows away in my Pocket when I am on my way to work at the Royal BC Museum. 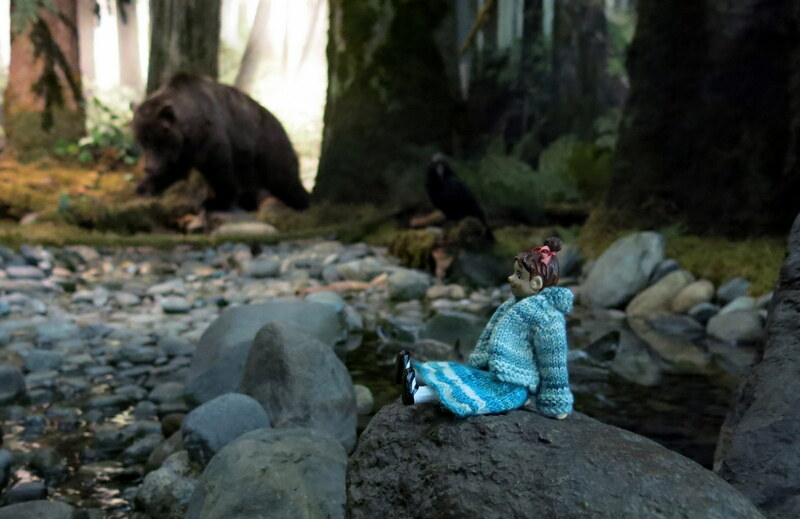 Sometimes she wants to explore around in the second floor Natural History Exhibits. Or pretend she lives in olden times in the third floor Human History Exhibits. 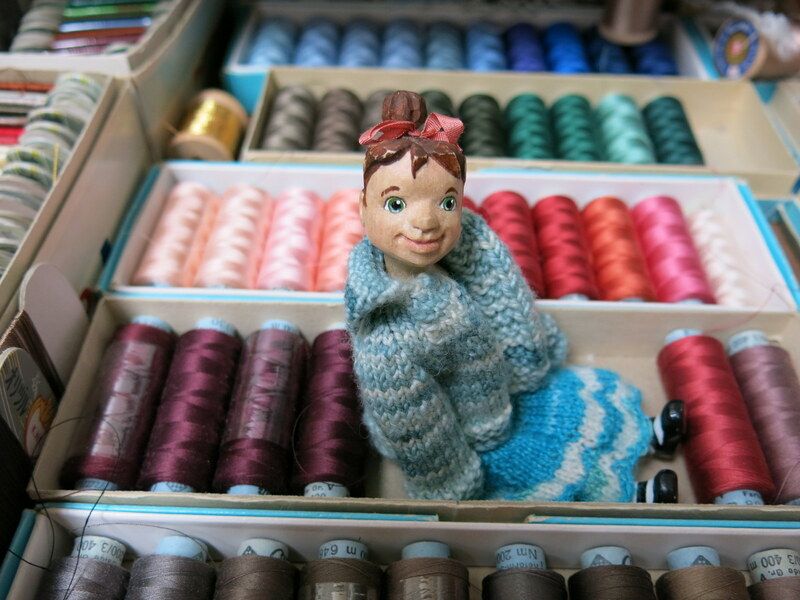 But sometimes she is content to just sit around in the Textile Conservation Lab. Min was carved by Doll Artist TC Vollum. 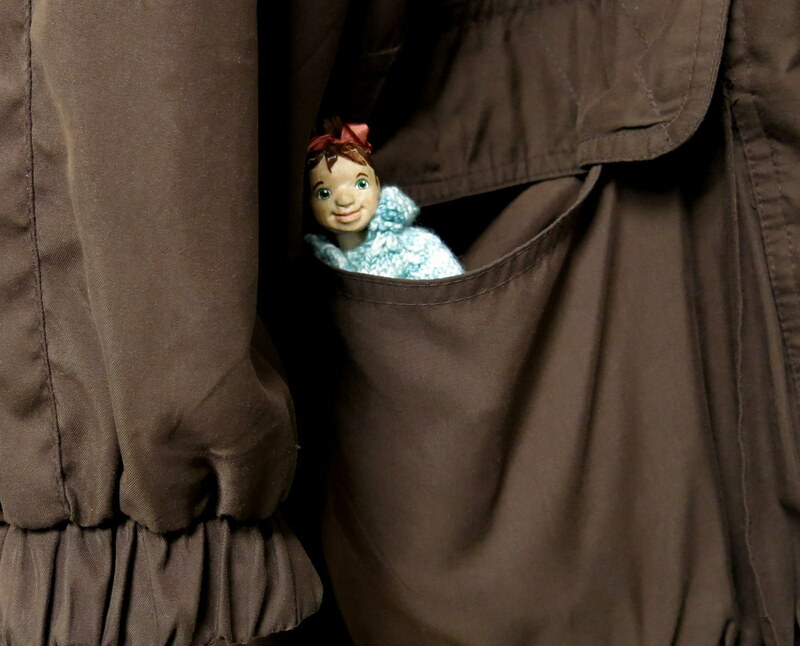 Click Here to link to tcv’s Dolltales on-line stories.